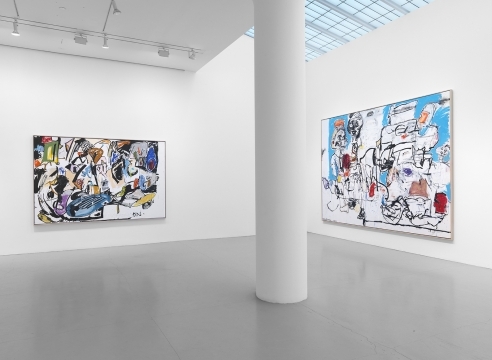 Mitchell-Innes & Nash is delighted to present the first exhibition of work by Brooklyn-based painter Eddie Martinez. Salmon Eye, on view in our Chelsea gallery from January 30 through March 5, 2016, will feature roughly eight new paintings. This will be the first exhibition with the artist since he joined the gallery in 2015, and will be accompanied by a fully illustrated catalogue, including an interview with curator and writer Alison Gingeras. 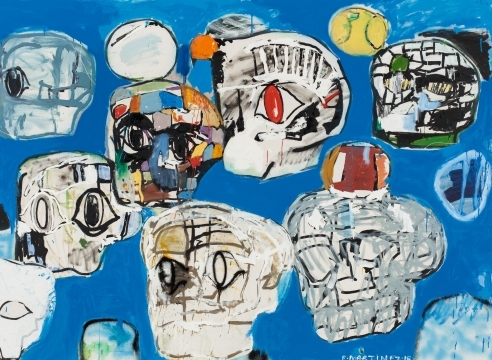 Martinez is known for his large-scale, energetic canvases in which densely built-up layers of oil and enamel paint are punctuated by elements of collage. Bold and muscular brushstrokes contrast with the faint lines of a spray can and the rich texture of paint squeezed directly from the tube to the canvas. Synthesizing classical formal compositions such as the still-life, portrait and landscape with the speed and ‘stream of consciousness’ approach of a child’s hand, Martinez arrives at a style unmistakably his own. 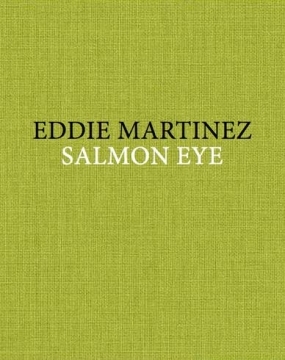 The works in Salmon Eye feature a unique marriage of Martinez’s gifts as a draftsman and a painter. 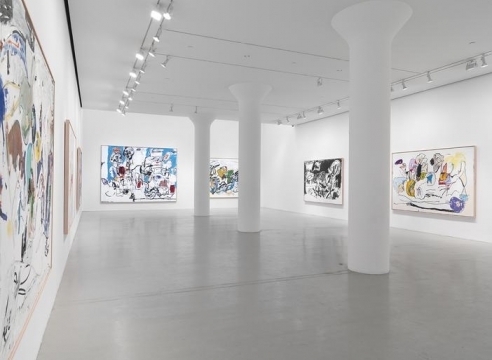 Many of the paintings in the exhibition originated as small, sharpie drawings on paper. The drawings are enlarged and silkscreened onto the canvas. Using this black silkscreen as a starting-point, Martinez then builds up shapes and layers, sometimes using the outline of the silkscreen as a formal blueprint, or sometimes disregarding the lines or covering them entirely. Drawing has always occupied a significant place in Martinez’s oeuvre. In the catalog interview with Alison Gingeras, titled Fresh Kills, Martinez says, "the drawings and practice of drawing has always been a constant thing and existed on its own laurels. It's the easiest, fastest way for me to chronicle my life. I don't draw in my studio, I draw at home and traveling, so it's really a biographical, journalistic tool". In contrast to his large canvases, the notebook and sharpie pen allow for spontaneous and immediate mark making. Recalling the Surrealist project of ‘Automatic Drawing’ directly from the unconscious, Martinez’s works on paper feel raw and immediate. In transitioning the small-scale works on paper to large-scale canvases, Martinez is able to bring this speed and freedom of movement onto a large scale. Though ostensibly abstract from afar, figurative elements begin to surface – a flower, a banana peel or a woman’s torso.